Somebody asked what it means when we say we do historic restoration and museum work. For museums and exhibits, we’ve bent railings (think crowd control) that have to fit interesting configurations. We’ve made frames on which the exhibit designers mounted educational or decorative items. Tubes are strong for their weight and make good frames. We’ve also made replicas of visible parts for locomotives, yachts, and airplanes that are on display in private and public museums. For this kind of thing, 3-D printing is another good solution. Our products and services including tube bending, are used in many different industries. Normally, museums don’t mind if the things they’re displaying don’t function, and they want them to “look their age.” That’s not the case with restoration companies. These are the careful craftsmen who transform a rusted car from an auction or grandma’s garage into a gleaming and functioning vehicle. 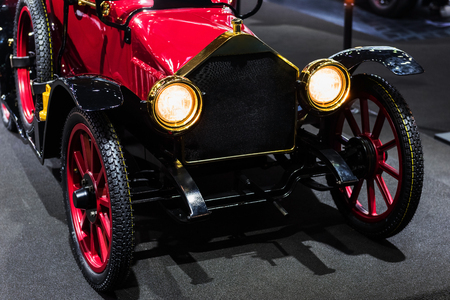 When somebody has a treasured antique car, boat, or truck, the restorers usually want to make it “better than new.” This means replacing decades-old parts with replicas made from modern materials that look great and resist corrosion. It could be brass for a yacht’s engine or 316 Stainless steel tubing to upgrade an automotive exhaust. It could even be stainless exhaust stacks with a neat angle cut end for a trophy tractor. Our customers are wizards with this kind of thing! Take a look here for one terrific example: Brian Joeseph’s Classic & Exotic Service. How much fun is it to work with these historic restoration companies? Well, some of us get a charge out of just saying “Hispano-Suiza, Duesenberg, Bugatti, Phaeton.” Those who are more practical-minded are happy to take high-quality modern stainless steel and craft the intakes and exhausts that will make those elegant cars not only beautiful but fully-functional again. At Detroit Tube Products, we take pride in bending tube for all types of applications and projects. Doing it for Antique or Historic restoration projects is frosting on the cake. Please give us a call or contact us with any questions on how we may assist.